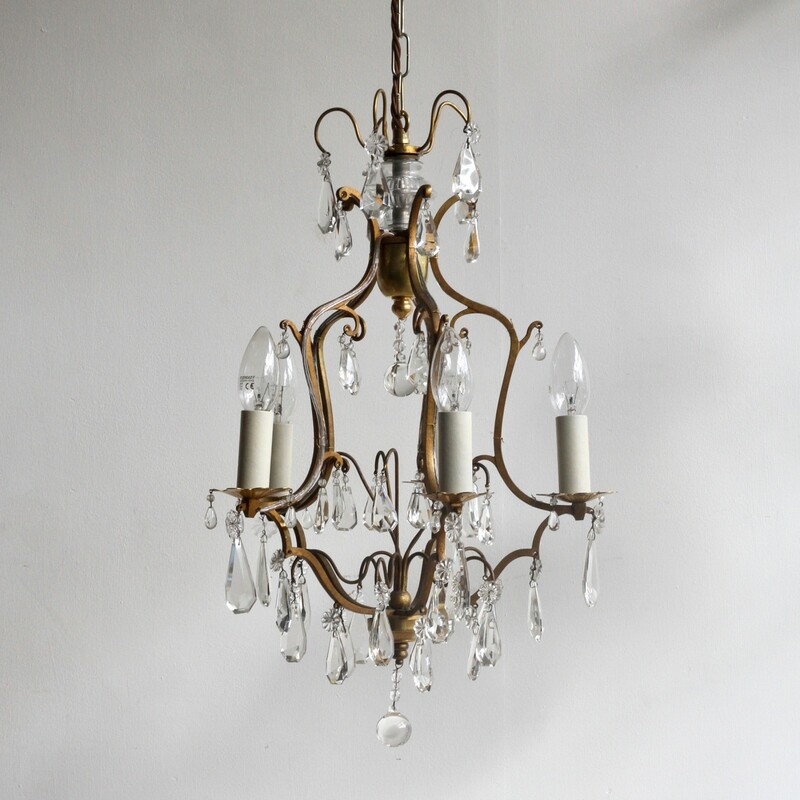 Petite gilt brass birdcage chandelier with crystal drops. Chandelier uses five SES lamps. Supplied with chain and ceiling rose.